Visiting the warmland - Cowichan Valley? Want to get in a row or two while you're on vacation? 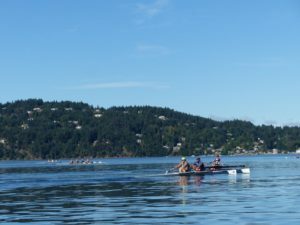 Our club recognizes reciprocal rowing - we host you and, if we're ever in your neck of the woods, you host us. We'd love to row with you! Check out the adult rowing schedule and send us an email if you'd like to join us. Bring a SIGNED WAIVER along when you come!! !